In spite of modest beginnings, the University of Mississippi School of Pharmacy has evolved into one of the most productive and highest ranked pharmacy schools in the country. It has produced both practicing pharmacists and renowned researchers. It began with only a handful of students and faculty members and is now one of the crown jewels of the university. It consistently ranks among top programs in the country for both research and instruction. But perhaps its most impressive achievement is the long line of scholars and pharmacists who have advanced patient care, the profession of pharmacy and their disciplines. Henry Minor Faser was a practicing pharmacist in Oxford, Miss. for five years when he persuaded the Board of Trustees to authorize a Department of Pharmacy at the university. The department was officially created July 1, 1908, providing the first formal pharmacy education in the state. A native of Macon and graduate of the St. Louis College of Pharmacy, Faser was named head of the new department. The young pharmacist, less than 10 years out of college himself, drew upon the resources of the university’s scholars to develop a teaching faculty of six professors. In addition to Faser, newly-appointed acting dean and professor of practical and theoretical pharmacy, the faculty consisted of: Thomas H. Somerville, professor of medical jurisprudence; Dr. Wallace S. Leathers, professor of physiology and botany; Dr. Peter W. Rowland, professor of materia medica; Anthony Muckenfuss, professor of chemistry; and George Paddison, assistant in chemistry. 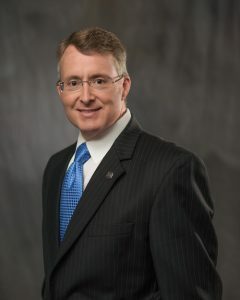 Chancellor Andrew A. Kincannon was also listed as a faculty member. On Sept. 24, 1908, 15 students formed the first pharmacy class. The criteria for admission called for students to be at least 16 years old, have a high-school education and pass a state entrance exam. If the applicant was unknown to the faculty, they were to present a letter signed by a licensed pharmacist confirming the applicant was of good character. Newspaper advertisements encouraged women to apply as well, citing “desirable sections” of laboratory space available for female students. In 1912 Flora Scarborough became the first female graduate of the pharmacy department. The department originally conferred two degrees: the bachelor of pharmacy (Ph.B.) and the graduate of pharmacy (Ph.G.). Both degrees were awarded to students who completed a two-year curriculum. Students who had four years experience in pharmacy practice were awarded the Ph.G. All students were required to complete 864 hours of lecture and 936 hours of laboratory work. The original facilities were located in two buildings. The chemical laboratory was in the basement of the Lyceum, and the pharmaceutical laboratories were on the first floor of New Science Hall, a building that no longer exists. The growing department became known as the School of Pharmacy in 1916 when the university reorganized all professional departments into schools and solidified Faser’s status by making him the official dean. A new degree, the pharmaceutical chemist (Ph.C), a three-year program, was offered. As the school grew, the facilities were soon relocated to the building now known as Old Chemistry, on the circle next to the Lyceum. Faser personally contacted legislators and secured $350,000 for the construction of Old Chemistry. By 1923, the building was complete, with the entire third floor dedicated to the pharmacy school. By this time both the two-year Ph.B. and the Ph.G. degrees were discontinued making the Ph.C. standard. The bachelor of science (B.S. Pharm. ), a four-year program, also became part of the curriculum. By 1960 it was the standard degree and soon expanded into a five-year program. By the mid-1920s the School of Pharmacy was beginning to take on the role Faser first envisioned. A majority of the state’s practicing pharmacists now were Ole Miss graduates. With the school on solid footing, Faser stepped down as dean in 1928 to take a job working for Penn Mutual Life Insurance Co. in Jackson. At the time of his departure, the school had more than 300 graduates, 98 percent of whom were practicing pharmacists in Mississippi. 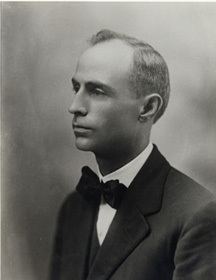 Dr. Elmer L. Hammond was named the school’s second dean in 1928. Though he was only eight years out of pharmacy school himself, Hammond was warmly welcomed by the faculty, along with his vision that pharmacy education should take a more practical approach by producing every day working pharmacists. Only two months into his tenure, the dwindling economy left Hammond, like many leaders in higher education at the time, shifting his attention to declining enrollment numbers instead. In 1932, there were only 16 pharmacy students. Two years later, the school produced only four graduates, a very disturbing development. The dwindling economy and the political meddling of the Bilbo administration forced the program to call upon its network of alumni to stay afloat. With the support of the alumni and active recruiting, enrollment rose slightly. As enrollment numbers started to recover, World War II began. David Sansing, professor emeritus of history and author of “The University of Mississippi: A Sesquicentennial History,” notes in his book that the university, like many others in the nation, shifted gears to serve the war effort. Even Chancellor Alfred B. Butts joined the military, serving in the Judge Advocate General corps. The university offered accelerated courses during the war years, allowing students to finish their degrees in two and a half years. With peace returning GIs filled Ole Miss classrooms in record numbers. Dean Hammond faced administrative challenges the opposite of those a decade earlier—now the school was overflowing. In 1948, 46 students received pharmacy degrees. That same year enrollment reached an all-time high of 305. The class of 1952 graduated 90 students. State officials began to worry there may soon be an oversupply of pharmacists and called for the pharmacy curriculum to be increased to six years. In a compromise effort, the four-year curriculum was modified to include one year of pre-pharmacy in 1950. After one year of instruction, students could then apply to complete a three-year program. Dean Hammond also insisted students must first have a year of experience working in a pharmacy before receiving a license; the state Board of Pharmacy agreed. 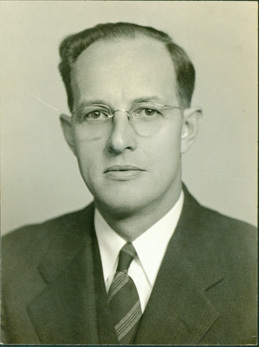 Dr. Charles W. Hartman was the driving force in moving the pharmacy school to become a first-rate research institution in the second half of the 20th century. Appointed dean in 1961, Hartman not only enhanced the facilities but increased the number of research faculty with Ph.D.s. Like Dean Faser nearly half a century before him, Hartman sold his vision of pharmacy education to the state legislature and received an increase in funding. In 1962, the Bureau of Pharmaceutical services was created and began updating practicing pharmacists on developments in pharmacology and drug development. It later offered around-the-clock phone assistance for management of poisonings to healthcare professionals. The school also began to offer its own Ph.D. program, which grew to 66 students in five years. By 1970, the teaching faculty had swelled to 31 professors, 24 of whom had terminal degrees. In 1964 the Research Institute of Pharmaceutical Sciences (RIPS) was established after Hartman gained the favor and funds from the state legislature. The vision of the new institute was to develop natural product-derived pharmaceuticals and to adapt many of the challenges in modern Mississippi industries. Early projects included developing new methods in which to process poultry more efficiently and possible isolation methods for the state’s kudzu problems. It was during Hartman’s administration in 1969 that the pharmacy school moved in to the 78,600-square foot Faser Hall named for the school’s first dean. The school had also grown to include an off campus animal facility and seven acre farm where researchers still harvest the country’s only legally-grown marijuana. Dean Hartman breathed new life into a school that was once foundering. In nine years he pushed Ole Miss pharmaceutical research and instruction into the limelight of American education. His tenure was cut short in April 1970 when Hartman, 46, was killed in an automobile-train accident. 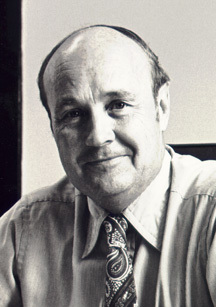 Dr. Wallace L. Guess, known affectionately as “Wally,” was named the school’s fourth dean having served as the chair of pharmaceutics at the University of Texas before arriving in Oxford in 1971. The curriculum took a new direction under Dean Guess. Although students had been required to work in a pharmacy since the late 1940s, now students were required to undergo a clinical rotation at the university’s medical center in Jackson. The rotation included off-campus sites where many students found employment. In 1977 the Department of Clinical Pharmacy Practice was created based on the medical center campus. During the Guess administration, scholarships soared to new heights and faculty contracts were extended from nine-month to year-long agreements. In recognition of the former dean, the Charles W. Hartman Memorial Lecture series was established, and continues to feature nationally known scholars and leaders. 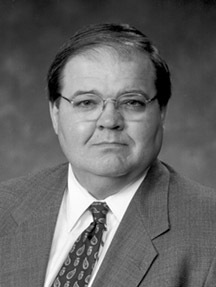 When Dr. Kenneth B. Roberts became dean in 1989, the demographics of the Ole Miss student body had begun to shift rapidly. In pharmacy schools across the nation, more women were graduating than men, and students were generally older and more racially diverse. The demand for advanced degrees had also increased. 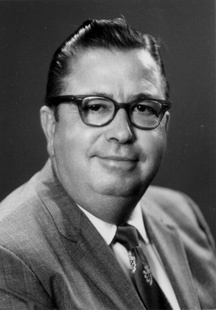 Roberts, who earned his Ph.D. in pharmacy administration at Ole Miss, was the school’s first alumnus to serve as its dean. While at the school’s helm, he reinvented the program by creating a Doctor of Pharmacy degree requiring six years of study, including two at the medical center in Jackson. Students who completed the five-year B.S. were given the option of completing another intensive year of study to earn the professional doctorate, which was first awarded to the class of 1991. In the mid-90s, students had the option to complete a non-traditional Pharm.D. that included off-campus coursework. The traditional Pharm.D. would become the profession’s standard, and the class of 1999 was the first to receive this entry-level Pharm.D. from the School of Pharmacy. In 1995, the National Center for Natural Products Research was established as the nation’s only university –affiliated research center devoted to improving human health and agricultural productivity though research and commercialization of pharmaceuticals. In 1999, the Thad Cochran Research Center building was dedicated honoring U.S. Sen. Thad Cochran, who was key in the center’s development. 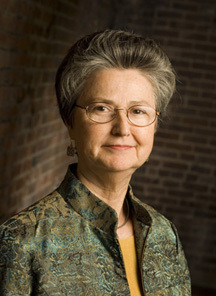 Dr. Barbara G. Wells was named dean in 2001. In spite of a depressed state economy and multiple cuts to the state budget, many advances occurred during her tenure. The faculty significantly revised the curriculum in 2008 to better prepare students to provide patient-centered care and to ensure that patients achieve optimal outcomes of their medication therapy. New programs were implemented to recognize meritorious faculty performance in teaching and research. The Distinguished Teaching Scholars program, implemented in 2005, recognizes four meritorious faculty members for three-year terms, and rewards them for their extraordinary commitment to student achievement and student welfare. Similarly, the Research Incentive Program, implemented in 2003 recognizes faculty for meritorious productivity and creativity in the research arena. External funding for research increased exponentially, and the School of Pharmacy was ranked #1 for total external funding for research and construction according to the rankings of the American Association of Colleges of Pharmacy. This was the second time in the history of the School of Pharmacy that the school has been ranked #1, although we had been ranked in the top five for almost a decade. The first capital campaign in the history of the school of pharmacy was implemented in 2008. The primary goals of the Promises to Keep Campaign were to raise funds from alumni and friends, corporations and government to construct a new education and research building in Jackson and to grow the endowments to support students and faculty. The campaign was a success, with the number of endowments increased by more than 50 percent over the number in 2001 when Dean Wells arrived. The renovation of Henry M. Faser Hall began in 2002 with the addition of 10,000 sq ft of additional space on the back of the building and renovation of the fourth floor. The project was accomplished with funds allocated by the university and a $1 million NIH grant (PI: Dr. Charles D. Hufford). The third floor was also renovated, and the electrical distribution for the entire building has been replaced. In addition, a state-of-the-art 250-seat auditorium was completed using Health Resources and Services Administration (HRSA) funds. In 2011, ground was broken for a second research building for the National Center for Natural Products Research, which will require two years to complete. This building is being constructed using funds provided by the Food and Drug Administration, HRSA and a competitive NIH grant (PI: Dr. Larry A. Walker; co-PI: Dr. Charles D. Hufford). Thanks to alumni and corporate support and appropriation of additional HRSA funds, a new education and research building on the campus of the University of Mississippi Medical Center was completed in 2012. Dean Wells retired December 31, 2011. David D. Allen became the school’s seventh permanent dean on January 1, 2012. Dean Allen came to Ole Miss after serving as founding dean at Northeast Ohio Medical University College of Pharmacy. Shortly after, a new pharmacy education and research building opened on the campus of the University of Mississippi Medical Center in Jackson, where third- and fourth-year students study. Editor’s Note: In researching this article, sources included the Ole Miss Alumni Review and “Pharmacy Education at the University of Mississippi,” edited by Mickey C. Smith. Articles in the Daily Mississippian and the Oxford Eagle were also used.